WALTHAM, MA – May 20, 2014 – Global payment gateway BlueSnap, today announced an integration with Avalara, a leading provider of cloud-based software that delivers a broad array of compliance solutions related to sales tax, VAT and other transactional taxes. As a result of this partnership, BlueSnap merchants can now use Avalara’s AvaTaxTM capabilities from within their existing workflow to automatically calculate the final tax amount on every invoice. This provides BlueSnap users with a cost effective way to simplify the complexity of calculating taxes in more than 100 countries worldwide with ecommerce-class scale, speed, and reliability. Avalara combines their extensive proprietary database with advanced algorithms for precise real-time address validation and geolocation, application of taxability rules, tax calculation, tax return preparation and filing, tax remittance, and tax forms and records management. For BlueSnap merchants aiming to increase global sales, this integration provides an easy, cost- effective way to penetrate new markets without having to become a tax expert in each individual country. 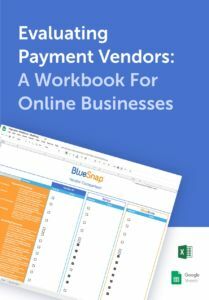 BlueSnap’s payment gateway already offers the features and tools merchants need to achieve higher conversions and sell in any country, with any language and any currency or payment type, on any device. BlueSnap automatically localizes checkout experiences for shoppers based on geographical location and intelligently re-routes failed transactions to help increase transaction success rates. The platform’s features and functionality already help merchants break into new global markets and eliminate snags that cause shoppers to abort the purchase process. The Avalara connector will complement these services that global BlueSnap merchants have come to value.